What happens when we die without a Will? When a person dies without a will in the State of California, they die intestate. The laws of intestate succession in California determine who receives an inheritance from the decedent’s estate. Who gets what under California intestate succession laws depends on which of the closest relatives survives the decedent at the time of death. The California probate code specifies how assets get distributed based upon many factors. If married at the time of death, distribution of assets depends on the title of the asset. 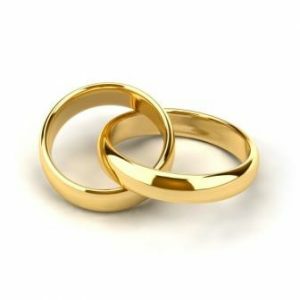 Property gained from earnings or salary during a marriage is community property. Assets owned before marriage, gifts, and inheritances are separate property. Assets gained by a spouse or domestic partner while living outside the state of California get considered as quasi-community property if earnings purchased real estate or other property that would be community property in California. An “issue” means children or other genetic lineal descendants of a person such as grandchildren and great-grandchildren. If married, the surviving spouse receives the community property. If there are no children, parents, brothers, sisters or children of a deceased brother or sister the surviving spouse receives the separate property. One-half to the surviving spouse if the deceased had only one child or issue of a deceased child. Surviving spouse receives one-half provided the deceased left no issue but had surviving parents or issue of the parents. One-third to the spouse if there was more than one surviving child. If there was one surviving child and children of one or more deceased children, one-third to the surviving spouse. One-third to the spouse if there issues of two or more deceased children. If parents deceased, the estate gets distributed to the parent’s brothers and sisters. Children of deceased brothers or sisters inherit the share that the deceased brother or sister would have inherited. The grandparents inherit the estate if there are no brothers or sisters. Children of the grandparents inherit the estate if there are no living grandparents. These children could include uncles and aunts or cousins. If there are no surviving cousins, the estate gets distributed to the next of kin of the decedent in equal shares. Survivorship period– To inherit through intestate succession law, a person must outlive the deceased by 120 hours. Half-relatives inherit as if they were whole. Posthumous relatives inherit the same as if the deceased person were alive when the relatives were born. Immigration status – relatives inherit even if they are not legally in the United States or citizens. Slayer rule states that if someone kills you, they will not receive their inheritance. 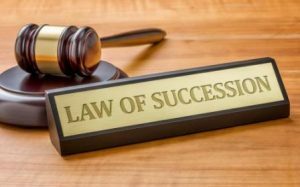 Not all property passes through succession in California when a person dies without a will. If a person dies without a Will then a spouse, parent or issue, petitions the court to get appointed Administrator of the estate. Full authority under the Independent Administration of Estates Act (IAEA) means the Administrator acts much like an Executor when there is a Will. If limited authority gets granted, and it requires a bond, the probate process will take longer. Many celebrities have died without a Will. When the value of the decedent’s estate is in the tens of millions, the kin of the decedent gets left to manage the probate process through the laws of intestate succession. An heir must manage probate that could be avoided with estate plan documents. Even with smaller estates, conflict among the heirs and kin of the decedent may result in expensive and time-consuming litigation. When we die without a Will, it results in the expense of probate. It could also be a long time before inheritance is received. It is estimated over 50% of Americans do not have a Will. Probate is a legal process to settle the estate of a person who died. When a person dies with a Will, the Executor petitions California’s probate court to get appointed to administer the estate. The decedent’s estate gets distributed by the terms stated in the Will. Funds in bank accounts, life insurance, and other accounts will go to the named beneficiary. 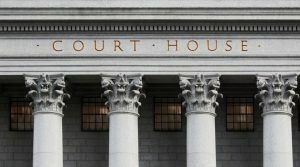 If the validity of a Will gets challenged, and California’s probate judge invalidates the will, then California intestate succession laws determine the heirs and how the estate gets distributed. If the deceased person created an estate plan and had a living trust, the decedent’s property gets distributed by the terms of the trust. 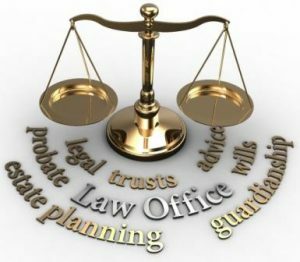 The way to avoid probate in California is to create a living trust and other estate plan documents. That way, we decide who gets what when we die. It also means we can avoid a conservatorship. The information contained on this page is for general information only. Always consult with an attorney for legal advice.